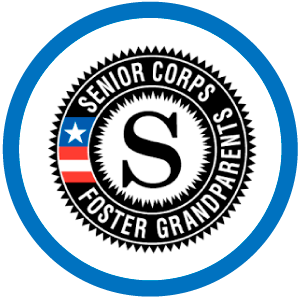 Since 1978, the Governor's Advisory Commission on National Service and Volunteerism, the Office of the Governor, and KARK-TV have recognized individuals and companies that serve others in extraordinary ways. 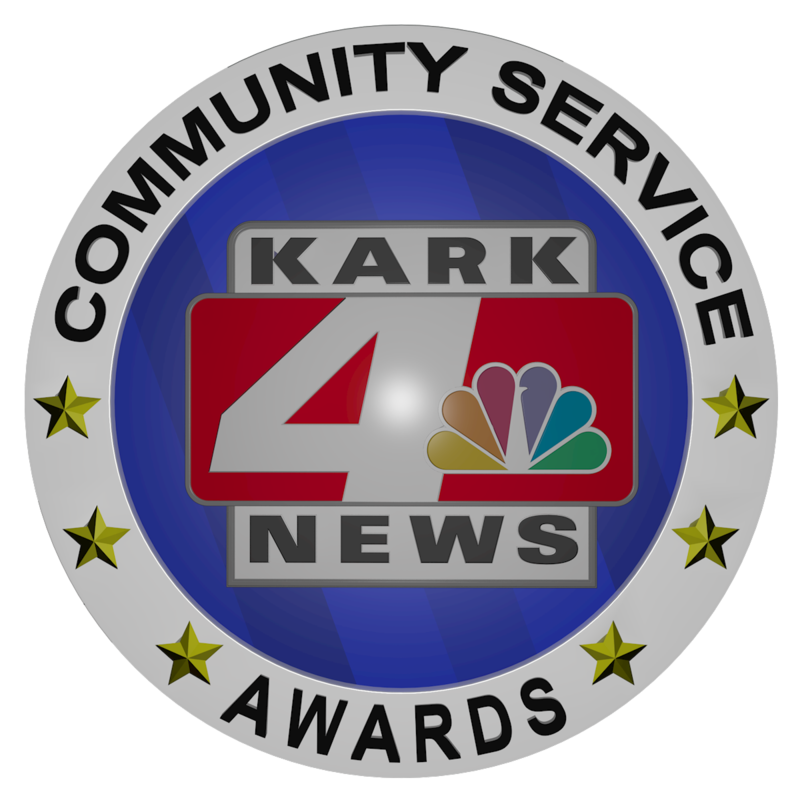 These special Arkansans are honored for their volunteer work through the Community Service Awards, which includes an annual ceremony with the Governor televised by KARK-TV. 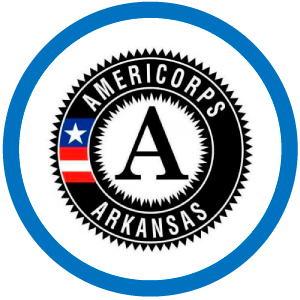 Nominations for the 2019 Arkansas Community Service Awards are closed. Thank you to all who submitted nominations. Stay tuned for award announcements! 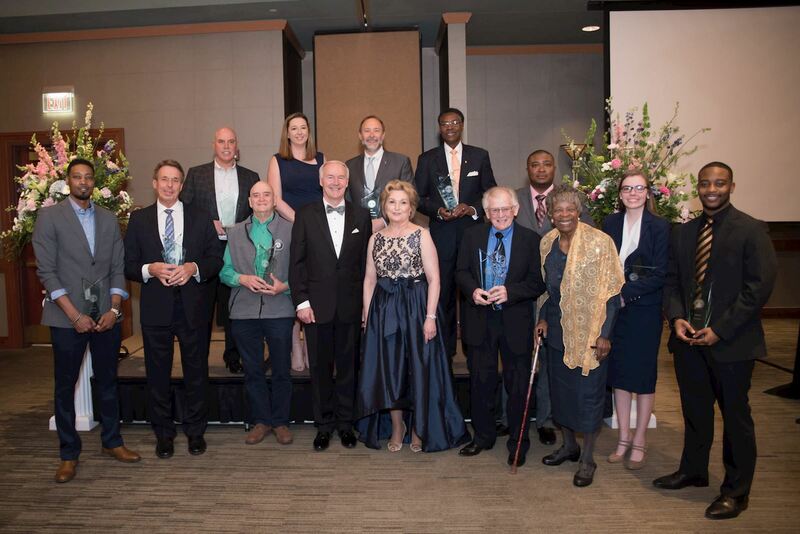 Front row from left to right: Emmanuel Wade of Marianna/Little Rock, Individual Honoree; Steve Hoffmann of Little Rock, Individual Honoree; Dale Pekar of Little Rock, National Service Honoree; Governor Asa Hutchinson; First Lady Susan Hutchinson, Clint Baker of Fayetteville, Individual Honoree; Annie Abrams of Little Rock, Distinguished Citizen; Ashley Morris of Springdale, Youth Humanitarian; Corrigan Revels of Magnolia/Little Rock, Individual Honoree. Second row from left to right: Daryl Miller and Alicia Jackson of PerfectVision Manufacuring, Corporate Humanitarian; Duane Highley of Arkansas Electric Cooperatives, Corporate Humanitarian; Morris Williams of Little Rock, Individual Honoree; and Sandy Gillespie of Blytheville, Individual Honoree. Individual honorees include Christie Johnson of Conway; Selena Ellis of Benton; and Virgie Phillips of Lake View. Meanwhile, Eric and Kara Gilmore, Sarah Adams and Britney Spees, along with Peyton Welch, all reside in Little Rock. Alexis Roberson of Caraway received the Youth Humanitarian Award. The Corporate Humanitarian Award was given to Everett Buick GMC of Benton. The National Service Award went to North Little Rock’s Beau Cooper. Dallas Cowboys owner, and North Little Rock native, Jerry Jones received the 2017 Distinguished Citizen honor.